A large flock of American White Pelicans, North Shore. As many as 80 percent of the North American population of American white pelicans may use the Salton Sea in some years. 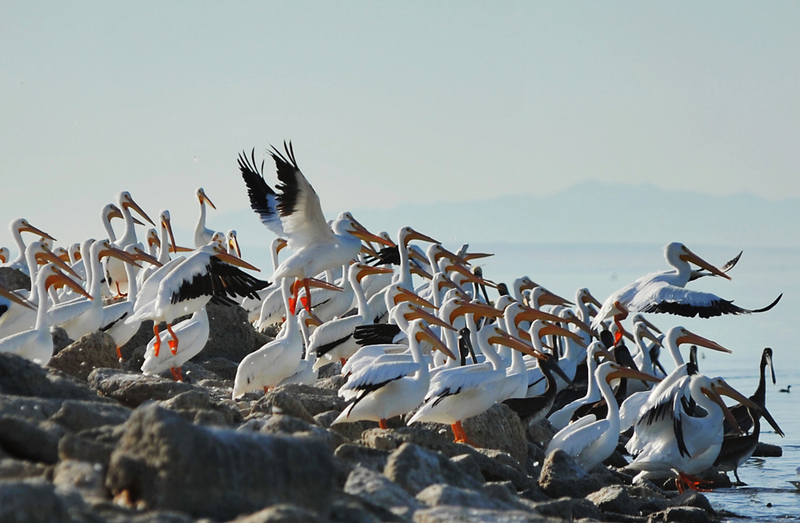 North Shore is the home of the Salton Sea National Wildlife Refuge, one of California's greatest birdwatching areas.